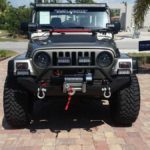 Today (June 15th, 2016), we have listed 9 new 2005 Jeep Wrangler ads to our site. These listings span 5 different states and 4 trims. Will be moving out of the country for work and need to sell my beloved Jeepster. 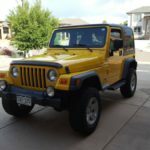 2005 Jeep Wrangler Sport Utility in Very Good Condition…..
Just finished new 3.25″ rough country suspension lift with nitrogen shocks, 5 new 33 x 12.50 18 toyo open country mt radials on ion alloy wheels, locking lugs…………. Responses without a phone # will be deleted and not replied to. 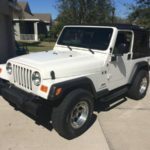 Great condition 2005 Jeep Wrangler X for $13,500. 31″ tires. Automatic. 103,000 miles….. This entry was posted on Thursday, June 16th, 2016 at 2:52 am	and is filed under California, Colorado, Connecticut, Florida, Fort Myers, Idaho, Jacksonville, Lakeland, Lewiston, Monterey, New Haven, Orange Co, Tampa Bay, United States. You can follow any responses to this entry through the RSS 2.0 feed. Both comments and pings are currently closed.